1. The Caravan Owner – undertakes, at his/her own expense to insure and keep insured the caravan with a member of the Association of British Insurers against loss or damage by fire, storm, theft, flood and liability of not less than £2m to third parties and such other risks as the park owner may from time to time reasonably require and to produce to the park owner upon request the policy of insurance and such evidence as the park owner may reasonably require to ensure the policy is valid and will continue to be valid throughout the period of storage. 2. 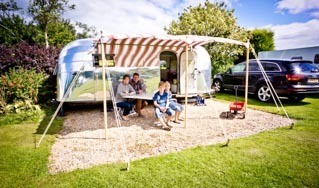 The Caravan Owner – shall not do or suffer or permit to be done any act or thing which shall or may render any increase or extra premiums payable for the park owner’s third party insurance or which may make void or voidable any policy of such insurance. 3. 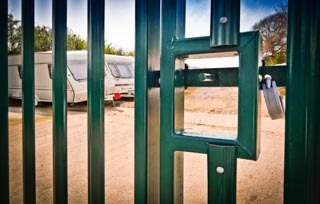 To indemnify – the park owner and keep the park owner indemniﬁed from and against all actions, proceedings and claims by third parties in respect of any loss or damage or liability caused by or arising out of any wilful neglect or default of the caravan owner and any other person authorised by the aravan owner. 4. 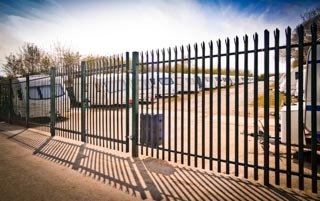 The Park Owner – will take all reasonable precautions to protect the caravan from loss or damage while in storage but shall not be liable for loss or damage which occurs except as the result of a breach of an obligation on his part. 5. 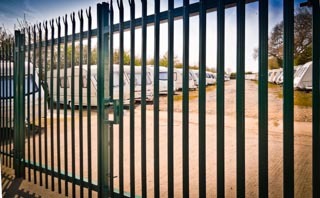 The Caravan Owner – shall be responsible for properly securing the caravan as provided for by the manufacturer, and to immobilise the caravan against theft by use of any or all proprietary antitheft measures. The park owners reserve the right to refuse the use of security locks ties hitch/wheel clamps which in their opinion are unsuitable, damaged or malfunctioning. 6. The Caravan Owner – shall not use or permit the caravan to be used for human habitation or use any gas appliance in the caravan while the caravan is in storage. All appliances and mean of power and heat within the caravan must be turned off or disconnected and stored correctly. 7. The Caravan Owner – needs to be aware that all hitch locks must be in working order and the use of them is strongly advised. However, the park owner nor his agents will be able to put wheel clamps onto caravans in the storage compound and owners must be aware of this fact. 8. No explosive – or other inﬂammable substance or material may remain in the caravan whilst the caravan is in storage, with the exception that up to a maximum of two gas cylinders of a proprietary brand and suitable for use with the caravan may be left, disconnected, inside the caravan over the storage period. Should any such substances or materials be discovered, they may be disposed of as the park owner feels ﬁt and the caravan owner shall not be entitled to any compensation resulting from this action. 9. The Park Owner – will not permit the removal of the caravan from the storage area on the park by anyone other than the caravan owner except on the prior written authority of the owner to a person carrying such written authority and bearing the original signature of the caravan owner. 10. 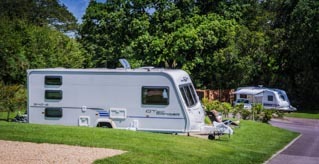 Payment – of all charges incurred in the storage of the caravan must have been cleared before the caravan is removed from the storage area and the park owner retains a lien on the caravan for any unpaid accounts. 11. 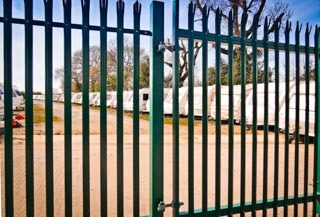 No access – to caravans during closed season unless previously noted in writing by 1st November. 12. Three months – written notice required. Termination prior to the completion of the annual storage agreement will result in a recalculation of fees based upon the weekly rate. 13. 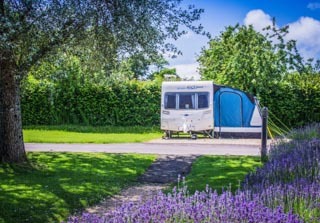 If the Caravan Owner – shall be in breach of the terms of this agreement the park owner shall be entitled to give the caravan owner 42 days notice in writing of termination of this agreement and upon the expiration of the said period the agreement shall be determined. 14. If the Caravan Owner – shall fail to remove the caravan on or before the determination of the Agreement by the park owner, the park owner is authorised to sell the caravan and its contents in such manner as he sees ﬁt and to deduct from the proceeds of the sale any amount due to the park owner under this agreement or otherwise together with the expenses incurred by the park owner in the removal and sale of the caravan and its contents. 15. Notices – shall be served upon the parties at the address given by the caravan owner or such other address in the United Kingdom as may be notiﬁed in writing for the purpose. Please note storage is not transferable. Caravans sold from the compound will not have the storage agreement transferred to the new owner without prior written consent from the park owners or their agents.